polyhedrons such as a square pyramid, a cube, a rectangular pyramid, and a rectangular prism. Have a table with natural and other characteristic objects for children to look at and gently touch. 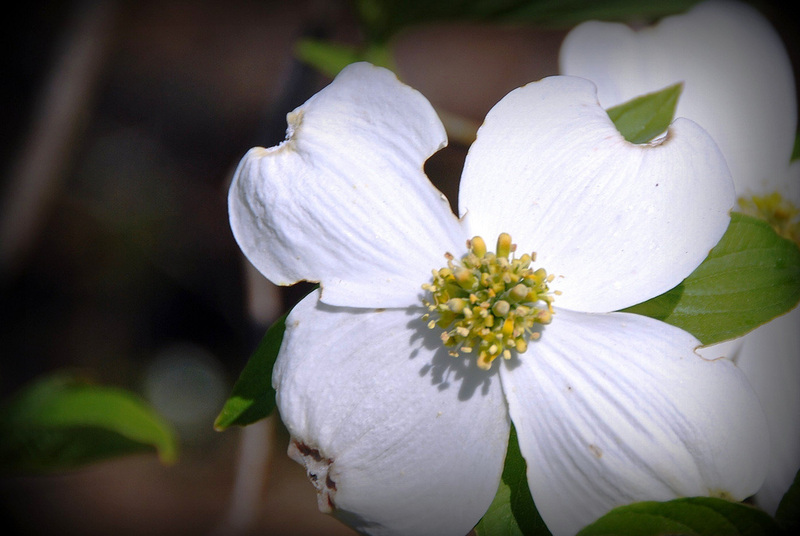 Make a ceremony of the placement of any new object or its picture to help create interest (e.g., moon jellyfish, dogwood flower). 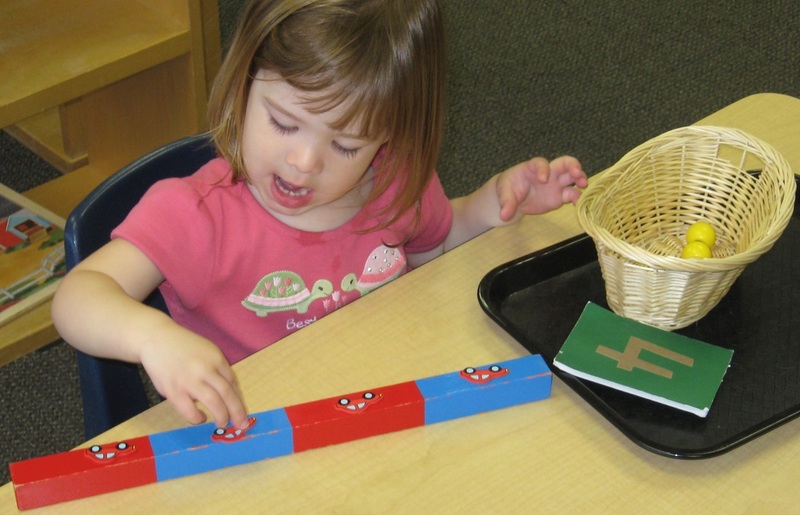 Play “I Spy with My Little Eye,” finding square objects, as well as cubes, throughout the room. Challenge children to make squares with their bodies (e.g., four at a time lying perpendicularly, head to toe). Have four children sit in chairs placed at the vertices of a square shape and help them hold a length of yarn to delineate the square. Invite other children to lie down on the floor under the square and look up at it. Sort a collection of quadrilaterals according to size or color. 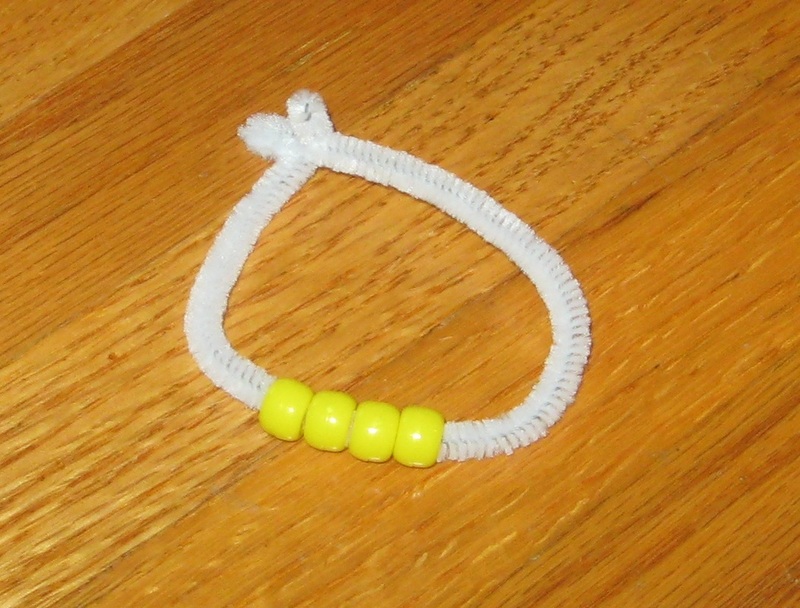 Thread four beads (yellow) onto a pipe cleaner or length of string and fashion into jewelry. Stitch around edges of square cards. Cut along a square path. 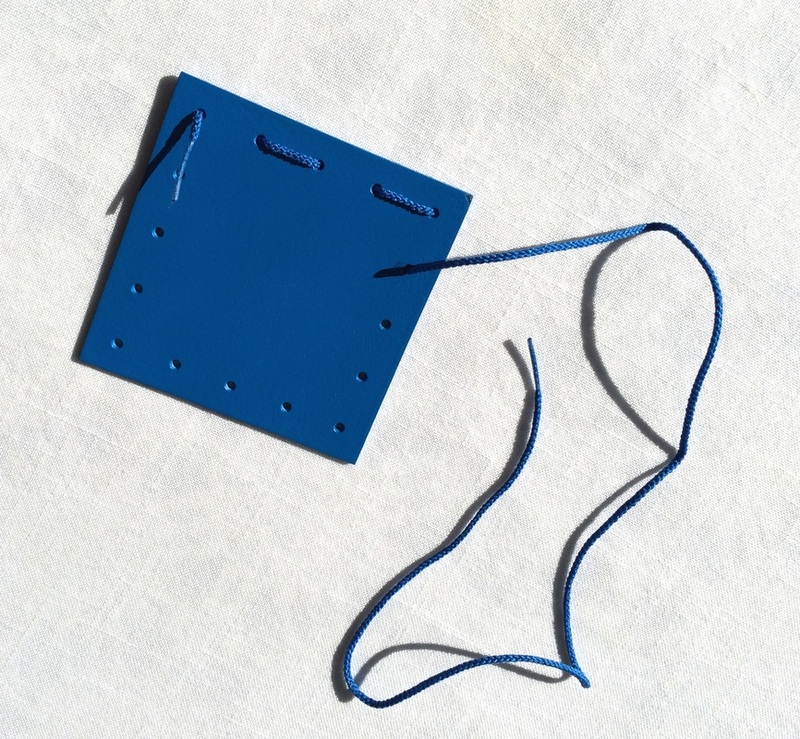 Learn to stitch a four-hole button. 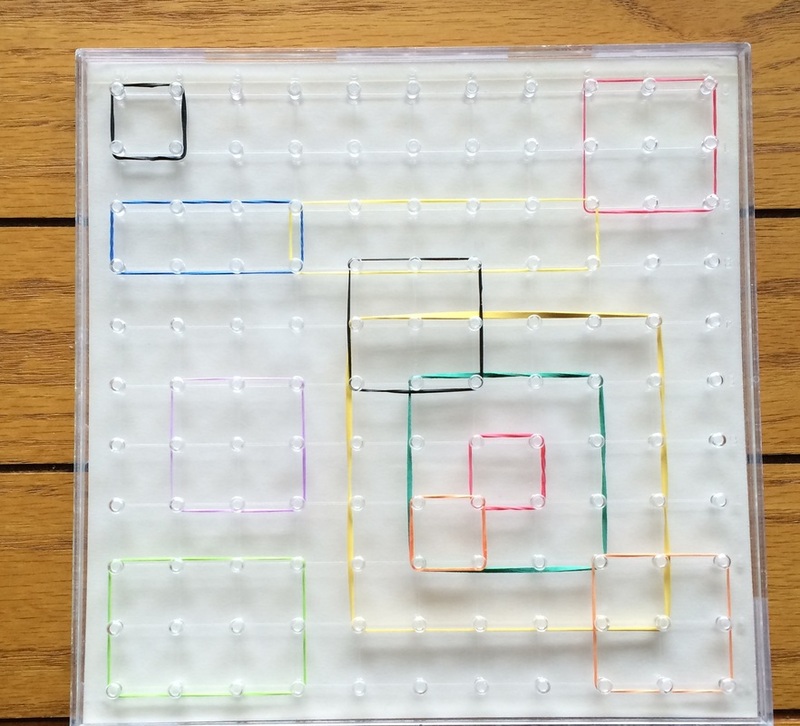 Build squares and cubes with toothpicks and miniature marshmallows. 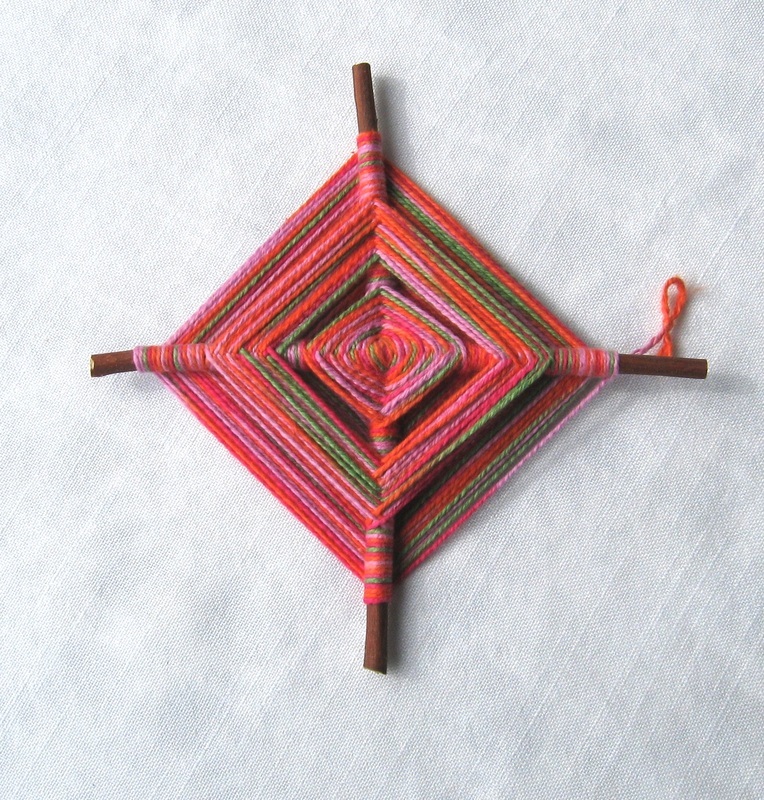 Weave with slips of paper or with cloth loops on a frame. Hang a mobile with quadrilaterals from the ceiling. Invite finger-tracing of various quadrilateral shapes. 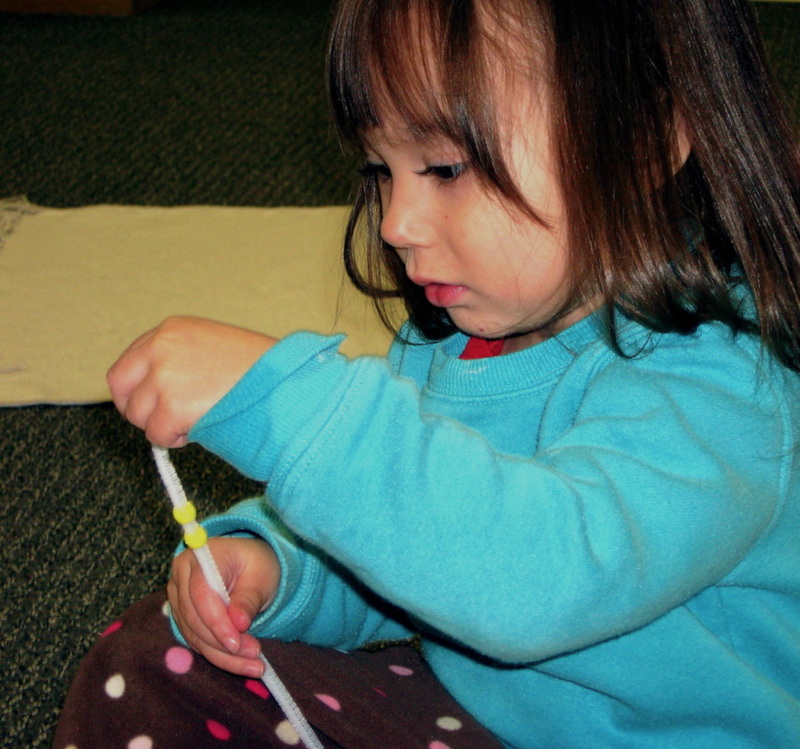 Place tape to create a square on the floor; invite children to various exercises (e.g., walking, sitting). Consider average length of children’s legs so that four can sit here and reform the shape with their legs. Draw squares in a tray of sand or shaving cream. “Draw” squares with your finger in the palm of child’s hand or on his back. Draw squares in the air using long, broad strokes, with or without ribbons; alternate arms. Feel sandpaper squares and sandpaper numeral four; make crayon rubbings of the same. Explore bubble-making with various open-form polyhedrons: square pyramid, a cube, a rectangular pyramid, and a rectangular prism. Explore patterning and tessellating properties of squares. Push or pull a four-pound weight in a box or wagon. Explore a basket containing four of various items (e.g., four beads, four pencils, four apples). Name items that the child can find and bring to you on a tray (“Please bring me four…”). Display currency units of choice (e.g., four dollars, four euros, four yen, four pesos). Display and work with units of measure (e.g., four ounces, four pounds, four inches, four feet, four meters, four minutes, four hours). Read aloud picture books that harmonize with the number four theme (e.g., Four Seasons Make a Year by Anne Rockwell, I Can Spell Words with Four Letters by Anna Nilsen, Four Pups and a Worm by Eric Seltzer). Trace within quadrilateral stencils and around quadrilateral forms (pre-writing skill). Trace printed, broken-line quadrilaterals off or on writing lines (pre-writing skill); extend into connect-the-four-dots activities. Pin-punch paper quadrilaterals (pre-writing skill). Provide materials for children to make little books about four. Include pictures (e.g., a cake with four candles, a fish tank with four fish). Explore sign language for four, square, and rectangle. Add relevant words to Word Wall (e.g., four, fourth, square, rectangle); Greek and Latin prefixes (e.g., tetra—as in tetrapod, quadr—as in quadrilateral and quadruplets); include related pictures of natural and man-made constructs. Present names of various quadrilaterals and add to Word Wall (e.g., trapezoid, rhombus). Add to three-part card activities (e.g., square, rectangle, trapezoid, rhombus, quatrefoil, cube). Explore phrases (e.g., “back to square one,” “the four corners of the earth”). Spotlight the words for four as you learn to count together, one to ten, in other languages. Look for expressions of four on a variety of flags (e.g., Panamanian, Swiss, Icelandic). Share expressions of four elsewhere in various cultures (e.g., god’s eye ornament). Add to the linear display of calendar months; guide understanding of four months. Add to the linear display of photographs of a child; add one from his or her fourth birthday—continuing concept of a lifetime. Refer to a linear timeline of the ages and find the early civilizations of Egypt, the Americas, and Islam; explore work of the ancient craftsmen who used geometry extensively, both structurally and symbolically; focus on four and the geometric expressions of four. Print quadrilateral shapes using various items. Explore what can be created with quadrilateral shapes (e.g., cityscape). Cut or pin-punch quadrilateral shapes. Provide coloring sheets with quadrilateral patterns. Marble-roll paint onto paper in square or rectangular pan or box. Look for quadrilaterals within selected pieces of art, including quilts and mosaics (e.g., Four Seasons by Chagall). Show that origami generally begins with a square piece of paper (e.g., little paper cup, salt cellar). Show how to pencil a cube on paper. Sing and dance (e.g., add fourth verse to “The Ants Go Marching”); the box-step is a basic dance step named after the pattern it creates on the floor. Introduce a performance by four instrumentalists or singers as a quartet. Introduce “The Four Seasons” and Vivaldi. 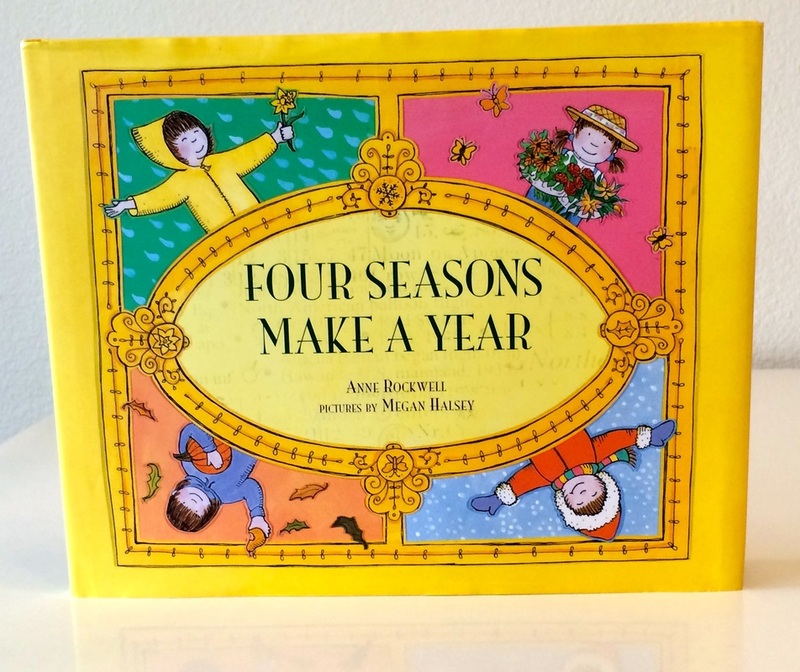 Read books about the four seasons (e.g., EyeLike: Seasons: Changes in the Natural World by PlayBac and Four Seasons Make a Year by Anne Rockwell). 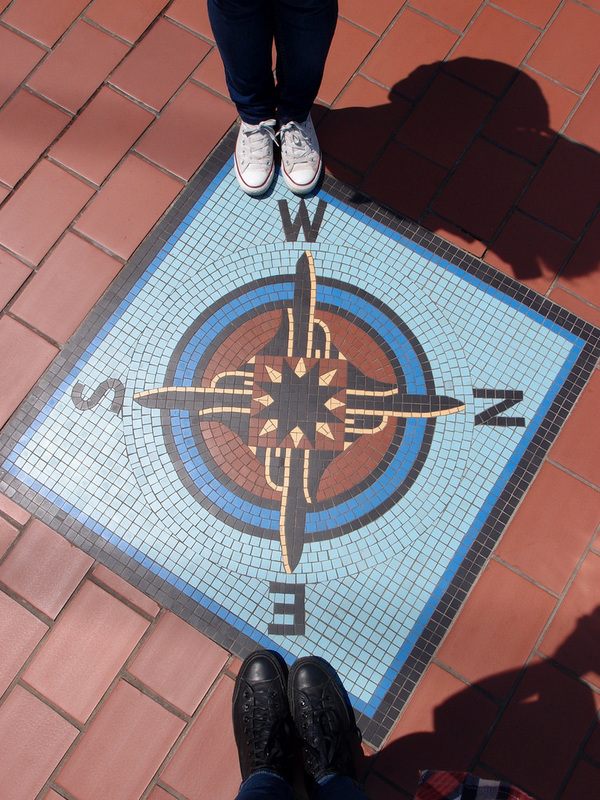 Post the four points of a compass around the room, i.e., north, south, east, west; look for the same on a map. Consider four basic states of matter, i.e., solid, liquid, gas, and plasma; fill a jar with water and soil, and shake it up. The natural layering into which it settles will show you the order of the elements or states—the most dense earth on the bottom, then water, above that air, and light passing through. Look at The Periodic Table of Elements; four is the atomic number of beryllium. Note the four terrestrial planets in our solar system, i.e., Mercury, Venus, Earth, Mars, and the four giant, gaseous planets in our solar system, i.e., Jupiter, Saturn, Uranus, Neptune. Show that many insects have four wings. 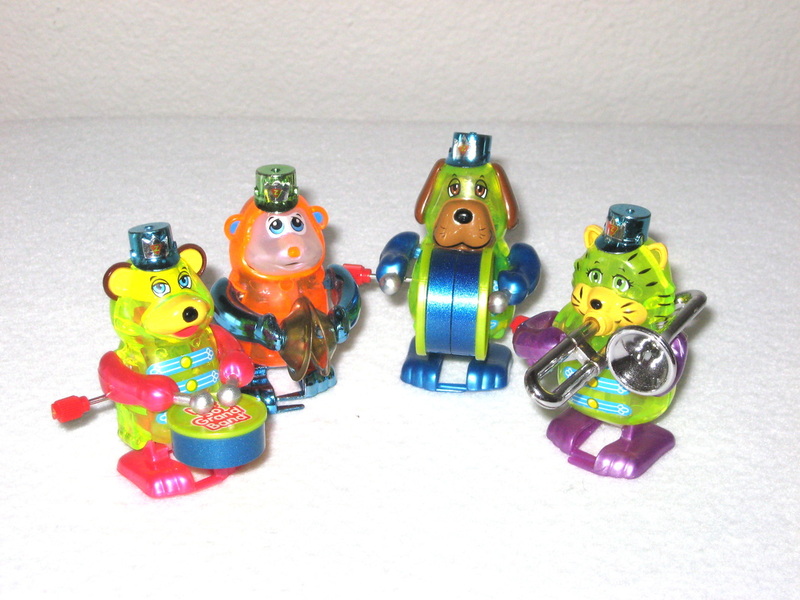 Show our four canine, four incisor, and four wisdom teeth. 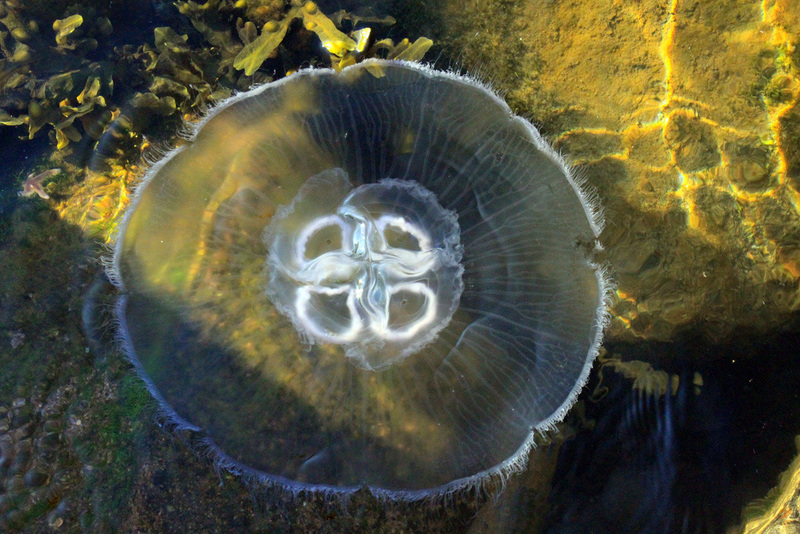 Show the human (mammalian) heart consisting of four chambers. Name the four human body systems, i.e., nervous, respiratory, circulatory, digestive. Name the four human blood groups, i.e., A, B, AB, O. Have children find an expression of four outside (e.g., rocks, flowers). 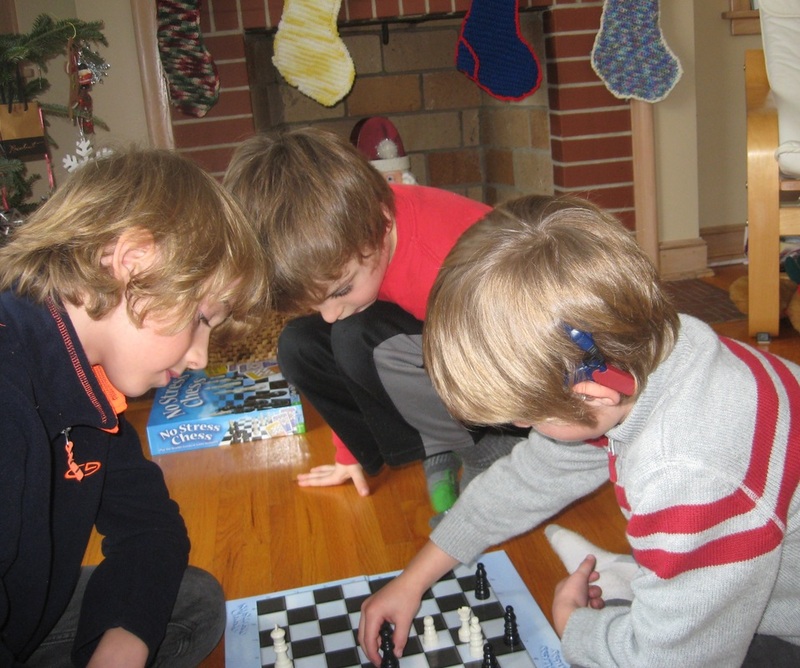 Invite four children to sit on the patio and roll a ball to each other; talk about the shape expressed, i.e., a square. Building a four-bead bracelet; see below. Look to a checker or chess board to find squares. How many? It is not 64!